In the summer of 1642 the First Civil War between king and parliament had broken out in England. Initially both sides were confident of victory, but after the first campaigns ended in stalemate they began looking for allies. The meddling of the Stuart Kings with Scotland's religious traditions provoked the National Covenant, and later the Solemn League and Covenant. 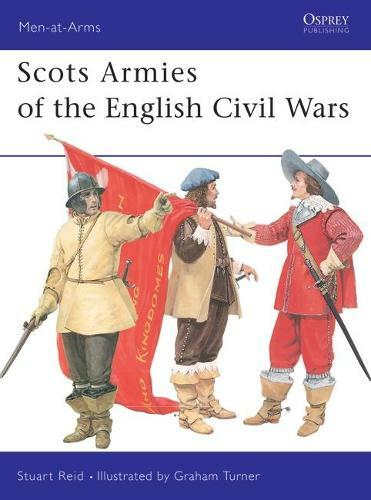 Yet many Scots continued to support the King, and after his execution, his exiled son.This fine text by Stuart Reid examines the Scots armies who fought in the English Civil Wars (1642-1651), and features numerous illustrations and photographs, including full page colour plates by Graham Turner.